Below is a question and answer over the idea that Spinoza may have been the first to present the idea of a Zombie World, not while considering a logical hypothetical, but in describing our own world, expressed here Does Spinoza present a Zombie World? 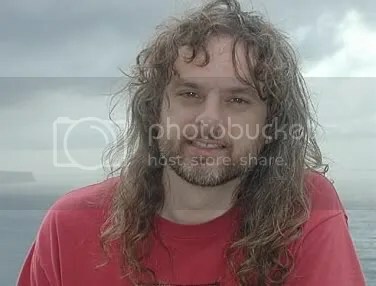 David Chalmers: Interesting. I don’t think that a spiritual automaton world is a zombie world, though. Such a world has consciousness, where a zombie world has none. Perhaps the spiritual automaton world is more like a world with epiphenomenal consciousness, or perhaps it is a world in which consciousness is governed by deterministic laws. I can’t tell for sure from the passages. The link between Spinoza and panprotopsychism is certainly interesting. Myself: It would depend what you mean by Spinoza’s spiritual automaton world having “consciousness”. Viewed from the totality, it definitely “thinks” as a whole, but it has no “affects” (that is, it would have no qualia) ideas without qualia. Would you hold that things thinking without qualia are still conscious? David Chalmers: Well, there’s a broad sense of “qualia” in which consciousness requires qualia. But then it’s not obvious that Spinoza’s “affect” means the same as qualia, in this sense. Myself: I am not sure how one could insist that qualia exist under Spinoza’s description. Affects are either the thoughts (inadequate ideas) we have about the body being in a certain state, or one could say, the body being affected to be in that state (affection), under an inadequate idea. Because God-Substance has no inadequate ideas, it has no affects. There is no way to squeeze qualia in, it would seem. God-Substance (of which everything is just a modal expression) is a thinking-zombie, one huge non-affective expression. That is, God-Substance acts like it thinks (extensionally) and has thoughts (ideationally), but feels nothing. That you and I “feel” things is just an illusion of our inadequate state of being. I say this only because you seemed to deny that Spinoza’s was a zombie world on the basis that there was consciousness in it; but when asked if the thinking of a non-feeling being (Substance) still qualified as consciousness, you suggested that just because Spinoza denies affects, he might not be denying qualia. This would mean that unless someone could argue that Spinoza indeed embraces the reality of qualia, indeed Spinoza’s is a zombie world, a world where Substance “thinks” but is not conscious (has no qualia). Here is a short essay by Lilli Alanen, (considered here: The Reality of the Affects: Spinoza’s Plotinian Real ), which is a comment on Michael Della Rocca’s essay “Rationalism Run Amok: Representation and the Reality of the Emotions in Spinoza”. In his essay Della Rocca argues that affects themselves are illusions for Spinoza, and he does so in a denial of qualia. Alanen takes on Della Rocca’s position, while also denying qualia for Spinoza, attempting to embrace some reality of what is felt. I think Alanen misses some important points in regards to how Spinoza qualifies “being real”, but in either case, qualia are denied as being held by Spinoza. This would seem to put Spinoza’s depiction of the world to be a zombie world, under your loose definition of consciousness. David Chalmers: Thanks for the paper. On a quick look, I don’t see much direct evidence that “affect” is being used as broadly as you suggest. It seems to be used for some fairly limited aspects of consciousness, tied to emotion and to the body. Also, although the author rejects qualia, I suspect that she is using this term in a narrower sense than you, i.e. for nonrepresentational states only (whereas consciousness may well be representational). Of course i am no expert, though. Myself: I suppose to restate my thoughts: I agree that the author is speaking of non-representational states, but the difficulty comes when assessing Spinoza’s representational states (adequate ideas), and deciding whether to call them “qualia”. If you take “qualia” to be durative in nature, that is coming to and passing away, then I don’t think that Spinoza ideas qualify for this. If you take “qualia” to merely be representations (and necessary absence of feeling or affect), then perhaps yes, there are qualia in Spinoza’s world. But this seems like a very extended use of the term “qualia” for “what it is like” simply would not appear to apply. 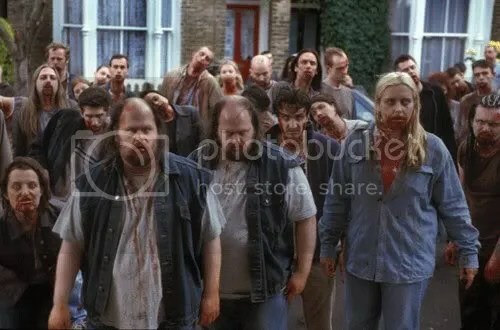 Does Spinoza present a Zombie World? it ought to be quite credible that the constitution and course of nature would be otherwise just the same as it is if there were not and never had been any experiencing individuals. Human bodies would still have gone through the motions of making and using bridges, telephones and telegraphs, of writing and reading books, of speaking in Parliament, of arguing about materialism, and so on. There can be no doubt that this is prima facie incredible to Common Sense. As new as this idea seems to be that such a world is a logical possibility, it is strikingly similar to Spinoza’s own metaphysical description of our own world. Could it be that if Spinoza is right, we already live in a Zombie World? (1) As regards as a true idea, we have shown that it is simple or compounded of simple ideas; that it shows how and why something is or has been made; and that its subjective effects in the soul correspond to the actual reality of its object. (2) This conclusion is identical with the saying of the ancients, that true proceeds from cause to effect; though the ancients, so far as I know, never formed the conception put forward here that the soul acts according to fixed laws, and is as it were an spiritual automaton. Further in the possibility that Zombie World = Spinoza Substance, Spinoza’s definition of affects, which can be equated with “qualia”, is that of passing from one state in the world to another state in the world more or less perfect than before (“General Definition of the Affects” from Ethics, at the end of Part III). Given that God’s (The One Substance) essence and existence is perfect, Spinoza’s ultimate view of the world is that of a Zombie World, wherein each person and living thing experiences the affects of their own increasing or decreasing imperfection, yet from the point of view of God/Substance, who is expressed perfectly in these creatures and all else, there is no affection at all. Affections are illusions of perspectives of expressive creatures. Further, and seemingly synonymous with Chalmer’s Zombie definition, God itself is a “thinking thing”, “Thought is an attribute of God, or God is a thinking thing” (EIIP1). God thinks, but in zombie fashion has no affects). Further conceive, I beg, that a stone, while continuing in motion, should be capable of thinking and knowing, that it is endeavouring, as far as it can, to continue to move. Such a stone, being conscious merely of its own endeavour and not at all indifferent, would believe itself to be completely free, and would think that it continued in motion solely because of its own wish. This is that human freedom, which all boast that they possess, and which consists solely in the fact, that men are conscious of their own desire, but are ignorant of the causes whereby that desire has been determined. Thus an infant believes that it desires milk freely; an angry child thinks he wishes freely for vengeance, a timid child thinks he wishes freely to run away. Again, a drunken man thinks, that from the free decision of his mind he speaks words, which afterwards, when sober, he would like to have left unsaid. In a certain sense Spinoza is arguing that we are really like such stones flying through the air. Like these stones our consciousness has a kind of hypothetical nature, born of our ignorance of causes. We operate not only under the illusion of free will, but also in certain respects with the illusion of consciousness (though the ideas that form our minds are real). It seems that as these two versions of reality seem to homologically collide, a hotly debated hypothetical of the logical conceivability of a possible world, and Spinoza own logical assertion of how the world really is, we are left with a strange sort of conclusion. 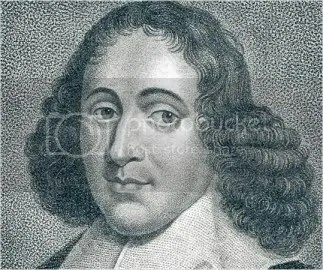 Either Spinoza presents a view which has no explanatory value to the nature of human consciousness itself (for instance it disengages the highly prized first person authority of experience, in favor of an ontological/metaphysical understanding of affect), or Chalmers has accidentally stumbled on the nature of the world (under the guise of mere logical possibility) as suggested by consciousness itself. It is interesting that one of Chalmer’s solutions to the mind/body problem, F-type monism, or what he calls panprotopsychism, is not too far from Spinoza’s own panpsychism. Perhaps the intrinsic properties of the physical world are themselves phenomenal properties. Or perhaps the intrinsic properties of the physical world are not phenomenal properties, but nevertheless constitute phenomenal properties: that is, perhaps they are protophenomenal properties. If so, then consciousness and physical reality are deeply intertwined. As for affects themselves, the reality of which suffers most deeply in either the Zombie World, or in Spinoza’s ultimate view of Substance, these would have to be characterized as intensive parts which work to express and bind bodies together, parts which also interact extensively under a physicalist description of relations. The consciousness of these intensive parts is a necessary perspective on being, but only a seeming of that perspective. Like zombies, our experiences only seem to be “like” something. It is a seeming that has very real effects, but a seeming all the same.